Pride of ownership is displayed in the wonderfully maintained home located on a beautifully landscaped 1.08 acre of land. 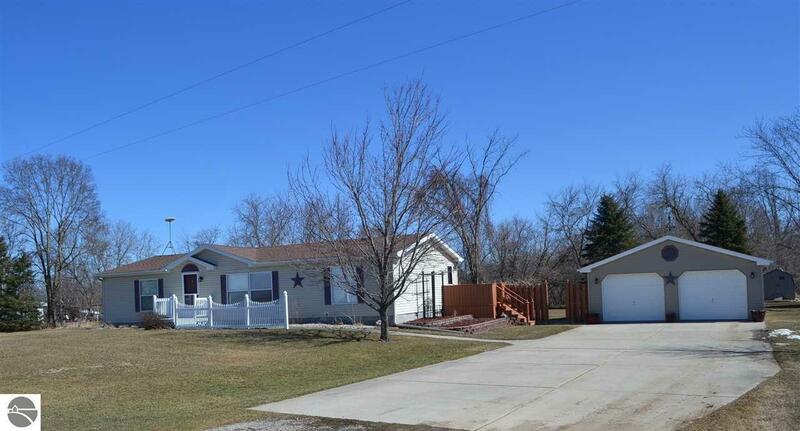 Home is a 3 bedroom, 2 full baths that has been freshly painted, New 95% furnace and Air conditioner 11/17, Well pump with well heater new 7/18, garage is 28x32 and can easily accommodate 2 cars and still have room for additional recreational vehicles. the 3rd bedroom has been converted into the laundry, but hookups are still at the original laundry area, could be moved back easily, all the bedrooms have walk-in closet for great storage. In the Spring this yard will show you its true beauty with its great multi tiered decking and patio area off the garage, mature landscaping and perennial flowers.